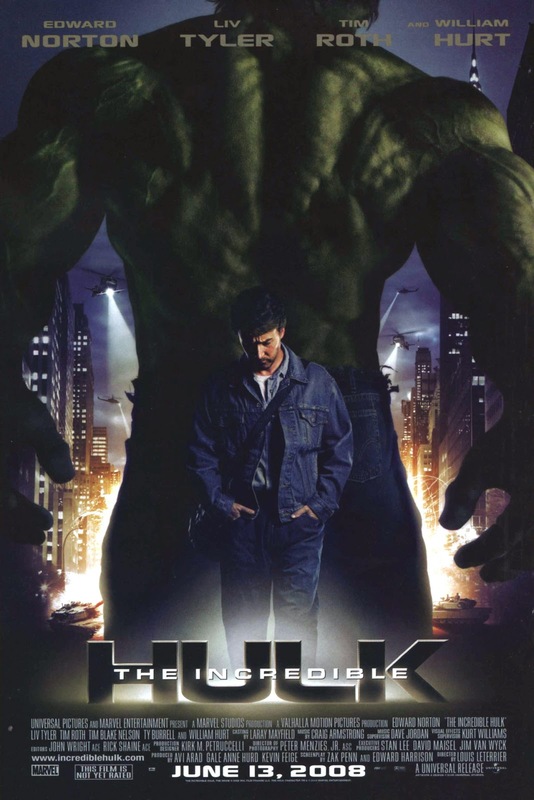 This is my first Hulk movie, and having seen it after 'The Avengers', it definitely does not have the same kick. 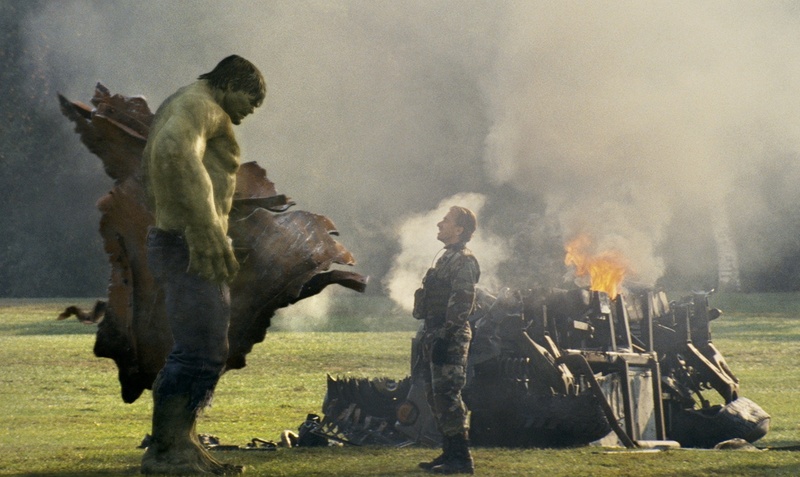 Edward Norton is an unlikely Hulk, mainly in physicality. He plays the victim Bruce Banner well, but the aggressive side to him, the Hulk side took some imagination. It took a while for the movie to get going and whilst I enjoy spending my time watching guys work in a juice factory in Brazil, I was constantly waiting for some sort of action. This was granted when Bruce finally got back to the US and is constantly being hunted by the army and is forced to turn into Hulk- who seemed invincible and unharmed even after being hit by hundreds of bullets and even explosive missiles. The only thing that kept me going through this was- will he cure himself? Will he control it? I felt that this was done well as we are kept guessing right till the end- which was slick. Bruce's relationship with Betty is like King Kong- she can calm the beast and they have this wild relationship which doesn't really work but doesn't not work- noone really knows what it is but anyway, they were ok together. I especially liked the closing scene with Robert Downey Junior's Tony Stark cameo as a precursor to The Avengers. The movie was decent but I felt that Edward Norton was miscast and as great an actor as he is, The Hulk just didn't seem to suit. It was exciting enough but was slow to start and Hulks invulnerability to anything other than himself didn't help to give him depth. This seemed to just exist to make way to the epic Avengers movie. Hopefully, in Phase 2, The Hulk might get a stronger solo film reboot if at all with Mark Ruffalo instead.